Hurricane Irma has just devastated many nations. Closer home, nearly 17 million people in Bihar alone have been affected by floods. Storms and hurricanes will get bigger and occur more often, due to a rise in ocean temperatures. Sea levels are rising, and wildfires are growing. Bouts of heavy rain, as India has just witnessed, will increase and be hard to predict, even as the rainfall over India is likely to decline. 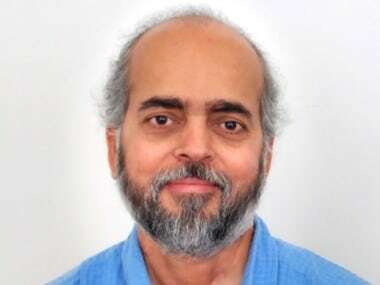 Krishna AchutaRao, now 53, was one of more than 40 scientists at the Lawrence Livermore National Laboratory — in the US city of Berkeley, California — who made key contributions to successive reports, for which, in 2007, they received the Nobel Peace Prize, alongside former US vice-president Al Gore. AchutaRao moved to studying climate during his PhD at Tulane University after a masters in mechanical engineering. He was a postdoctoral research scientist at Livermore. He continued as a research scientist, working on climate modelling until 2007. He has been an associate professor at the Centre for Atmospheric Sciences at Indian Institute of Technology, Delhi, since. Though he claimed his dancing days are behind him, AchutaRao is a certified zydeco dancer, a style of music from Louisiana that features the accordion and guitar. When not at work, he now prefers more age-appropriate pursuits, such as reading and cricket. In an interview with IndiaSpend, AchutaRao discussed his work on climate modelling and what it can tell us about the future of the world already struggling to deal with a changing climate. 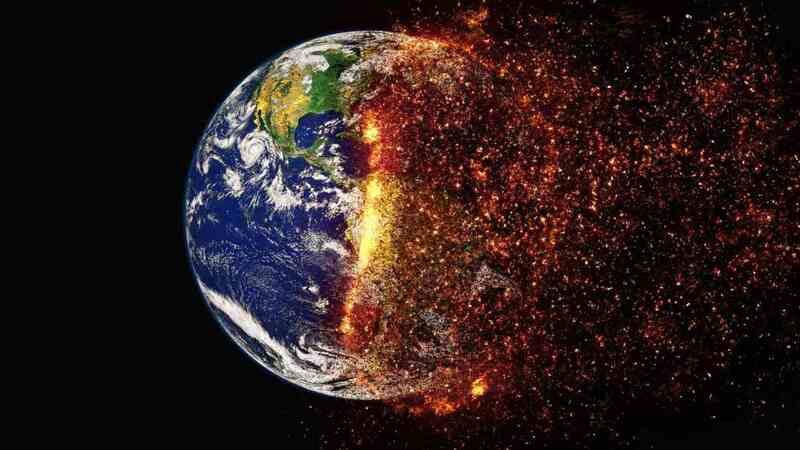 In 1995, the second assessment report of the IPCC said that the significant growth in atmospheric greenhouse gases could largely be attributed to human activities like fossil-fuel use, land-use change and agriculture. How much more do we know today about climate change caused by human activities? The earliest attribution was done for only temperature. Since then, and that was 20 years back, the things that have been attributed to human activities include changes in water vapour in the air, rainfall patterns, sea level rise, disappearing ice in certain parts of the world. 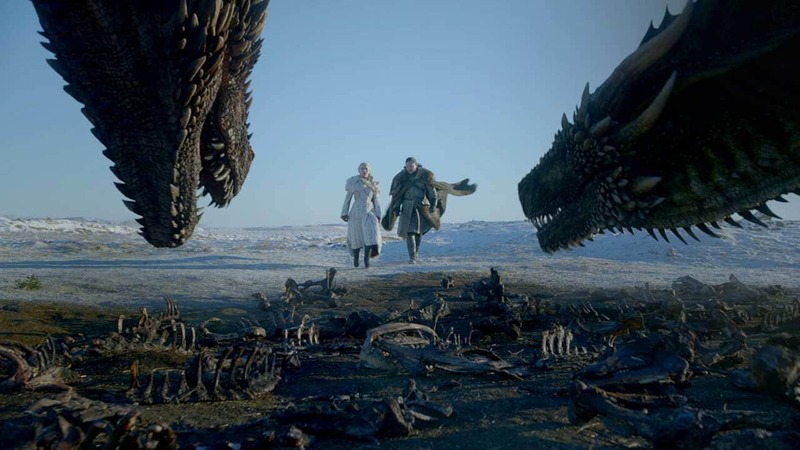 Then there is a whole set of secondary ecosystem effects of the physical climate changing like birds migrating, certain plant species migrating to higher latitudes. These have all been attributed to anthropogenic causes. We know not just about carbon dioxide (CO2) being responsible for some of these effects, but we also know the effects of aerosols (particulate matter dispersed in the air) and other pollutants that we put out. How that has actually reduced the temperature that we experience in some places. So we know where more pieces of the attribution puzzle fit. One of my colleagues likes to call it physically consistent picture. It’s like all of the evidence is pointing towards the human culprit. It is no longer a single variable, it is a whole, big picture that has emerged, and that has taken 20 years. What is a climate model? What does it look like? How is it made? What makes for a good or bad one? No model is great. There is this famous quip by someone, I forget the name, that goes “All models are wrong. Some are useful.” But the point is that you are trying to represent things that are happening relevant to our climate. The first model I worked on, as a PhD student, was just one equation. It was a mathematical equation with which you could draw a graph. But it was a simple model, very limited in what you could learn from it. 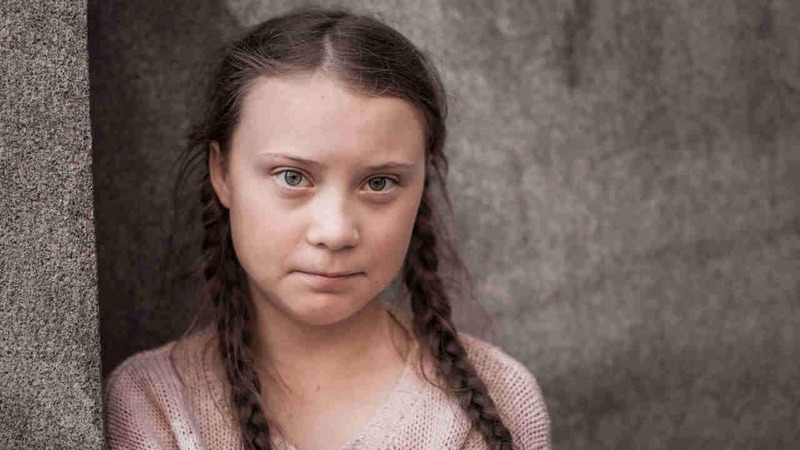 But it was not ideal to make decisions for what the future might look like because a typical person is interested in how climate change is going to affect them, wherever they may be. When you have a question like that, you need more detail, you need to be able to tell people in various parts of the world what’s going to happen in their neighbourhood. So, if I have to tell everybody what is happening in their part of the world, I need to have information about the whole world and everybody’s neighbourhood and some way of representing climate as it unfolds when we do different things for all of these places. The first step is to look at the Earth and see what it would look like if we didn’t have any human beings on it. If there are no humans, there’s only natural climate ‘change’; climate is whatever the Earth has. The next step is to represent this in a model. The whole world is broken up into boxes for neighbourhoods where everything has to happen — the sun has to rise, the rain has to fall, clouds have to form, there has to be nightfall, summers, winters. You just make sure that all these basic laws of physics are obeyed in each little grid cell. And as the seasons come and go, what happens to your little square? Next, when you add humans, they start emitting stuff. You burn coal, and clear land for agriculture, take away forests, start mining, extract oil, and you burn it for fuel. All of these things are changes that human beings have created, they have increased the concentration of greenhouse gases, and these changes are entered into the model. You change how the surface of the land behaves, because what used to be a forest is now a wheat field. These kind of changes are now part of your model. Once you do that, what happens to each of these neighbourhoods? This is what we try and look at. Now I’ve put all these things into my model, and I’ve seen what my neighbourhood was 200 odd years ago and what it is now. Then I check whether my model matches what we are actually seeing. If it does, then it’s a good model. If it doesn’t, then I try and understand what did I not represent correctly, because in the model we take the whole globe and break it up into little boxes which require many small assumptions to be made. We might say that all of India is maybe five or six boxes, and assume everything inside the box is the same, but maybe we need to have 100 boxes over India, or a 1,000 boxes, where each box is slightly different from the other. To see how the climate will be in the future, what kind of data are you entering into the model? Let’s say I’m starting a climate model today. So I’ll give it something that looks like today. For a climate problem what’s important is how much CO2 is up in the air. How much more methane will be released, how much dust is out there. How many aerosols, and what do they look like? Not just for today, I need to know those things into the future. If I have to tell somebody what their climate is going to change into or what it’s going to look like ten, twenty, fifty years from now, I need to be able to give the model how the CO2 or methane is going to change in the future. Getting these changes is another can of worms altogether. How do I know what the concentration of CO2 or methane or anything will be that far into the future? So here, there are people who do economic models, socio-economic forecasting — what is the population going to be, what’s the GDP going to be, what industries will look like, what technology will look like ten, 20 years from now. Will there be more solar power plants than coal-fired power plants? All these variables have to go into guessing the future of climate. It’s a very educated, very meticulously put together a number, but it is still a projection. There is no one outcome. It could be that China and India are now one of the big economies and big polluters. They have a large population, they are developing, so they emit more, but there is also a possibility that there will be some breakthrough technology where we may get carbon-free energy, so you can grow enormously but without releasing CO2 in the atmosphere. What are some of the shortcomings of current climate models? For a long time now, the biggest problem with models has been how well they can do clouds. There is a tremendous amount of effort going into understanding how clouds should be done, how to represent them, and whether they will help cool the planet or whether they will add to the warming of the planet. That really is the holy grail of what is expected of the models. Once that problem is addressed adequately, we will have a lot more confidence in what we predict for the future. Let’s say rainfall doesn’t change, best-case scenario, but the temperature goes up, which means it is going to get drier, water is going to evaporate and make the soil dry, which is not good for agriculture. So, as temperatures go up, you want your rainfall to go up, but you don’t want your rainfall to go up too much or else it will be those heavy downpours that wreck things. This is why it becomes very important to achieve more confidence in rainfall prediction. Something that we can predict as of now is that the monsoon season is going to stretch out more. Indian monsoons are impacted by the presence of aerosols in the air, including dust transported from West Asian countries and adjacent deserts as well as local black carbon emissions, which is a short-term climate pollutant. How exactly do aerosols interact with clouds and affect rainfall? Aerosols have multiple effects. There is something called a direct effect, there’s an indirect effect (in which there’s first indirect, second indirect) and then there is the semi-direct effect. Sulfate type aerosols make it so that the cloud stays a lot longer overhead and therefore have a tendency to rain heavier. Black carbon has what is called a semi-direct effect, it can actually burn off and destroy the cloud. Whichever aerosol is more active will tend to change rainfall in different ways. There is also the direct effect that tends to cool the whole area and reduces rain. Indian rainfall does seem to have gone down because of aerosols, that is now fairly accepted. But what is not so clear is how much the direct, indirect and semi-direct effects are, and what is their relative contribution to the reduction in rainfall. Ultimately, three different things could all be wrong but could have what is called a compensating error, and you end up with the correct answer for the wrong reasons. So we need to study this more. How accurate are climate models becoming in terms of predicting extreme weather events? I want to make a distinction between a climate model and a weather model. A weather model will tell you whether Mumbai is going to have a heavy rainfall event a few days in advance, as it happened at the end of August. A climate model doesn’t remember what state it was in beyond a couple of days. It will tell you whether you are going to have higher temperatures relative to today, 20 years from now. And it’s not just for a day, but it will tell you that Augusts, 20 years from now, will be hotter by one degree or so, which means that you are going to have more days that are warmer 20 years from now. It can also tell you things like you will have very heavy rainfall events because overall your rainfall is going to be higher 20 years from now. So if my total rainfall for a monsoon season or a whole year has to be higher, that means each of my rain events has to actually contribute to that. So either I have more rainy days or I have the same number of rainy days but more rain on those days, only then will I have more total rain. “It is very likely that anthropogenic forcings have made a substantial contribution to upper ocean warming (above 700 metres) observed since the 1970s. 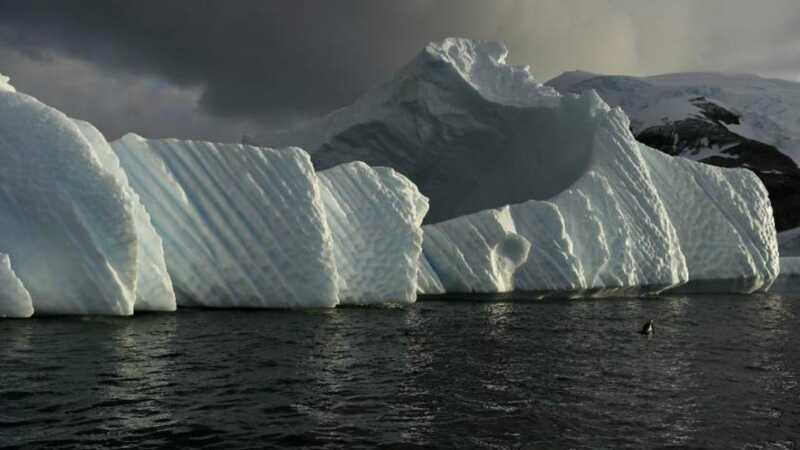 This anthropogenic ocean warming has contributed to global sea level rise over this period through thermal expansion,” according to the IPCC. You were one of the lead authors of this paper, and you have been studying oceans for over a decade. What is the impact of global warming on oceans and how will it impact India’s long coastline in the future? Addition of greenhouse gases to the environment causes the trapping of heat. Turns out, of the heat that has been trapped in, about 93 percent has gone into the ocean. Whatever warming we, sitting here on land, have been experiencing as air temperature being warmer, is only seven percent of that heat. The majority has gone into the ocean because water simply has a higher heat holding capacity. I remember from my PhD, my adviser used to say the climate we’ll experience in the atmosphere is like the tail of the dog, the dog is the ocean because there is so much heat that has gone in there that, that it is the bigger part of the animal. The ocean actually takes up so much heat that the temperature change in the atmosphere we have actually seen is about a degree. Ocean temperatures have gone up even lesser, maybe about half a degree, less than half a degree in most places, but, the energy itself that has gone in is 93 percent. When you are heating the ocean you are heating the sea surface too, and a hotter sea surface means that you are going to more readily form cyclones, more readily going to evaporate water, make the air more humid. And these things are already happening. The other thing that happens is that when you heat anything, it expands, and the water has heated so much that the oceans have expanded, in fact, most of the sea level rise we have perceived so far is from expanding oceans. All the glaciers and other things melting, residing on top of that. But the most important reason has been expanding oceans. We are not very good at doing this as of now. It will be possible to do this someday, hopefully. One of the issues is that if I have to predict the next monsoon season — which part of India is going to be getting more than normal rainfall, and which part is going to experience drought — you are too far away from today for a weather model to work but too close to today to use a climate model. Between this year and the next year, the boundary conditions (like CO2 levels, methane levels, land use patterns) have not changed sufficiently, even though they are different. It’s neither weather nor long-term climate. This is the problem in predicting droughts or floods during the immediate few years. But I can make a projection that 50 years from now you will have particular places drying out, and other places getting wetter. How can we attribute a certain weather event to climate change? How accurately can we do this? Until five or six years ago, there was no way to answer that. For example, there were always heatwaves in India, it was always a hot and dusty country, so there were always high temperatures at certain times of the year. You always had hurricanes forming in the Atlantic Ocean and there has always been a lot of rain along the Western Ghats. But last summer (of 2016), there was a place in Rajasthan called Phalodi which measured a temperature of 51 degrees. That high a temperature has never been recorded in India. There’s no precedent for this since record keeping began about 100 years ago. We know that it is a low probability event, it doesn’t come around more than once in a 100 or 200 years. The Harvey cyclone, the amount of rainfall that it has dumped over Houston, is a once-in-500-years event. We are now looking at events that are inherently rare, and they have serious impacts; the very heavy rain in Mumbai has a serious impact on the economy, human lives. Very high temperatures like in Phalodi have a serious impact on health and cause human suffering. Attributing this kind of events to climate change is an exercise in finding out the probability of that event occurring. We try and see what the probability of this event is currently from existing data and see if we can use a model and get the model to simulate the same probability effect. Let’s say my data measurements say some kind of rain event occurs once in 50 years. Then the model should also produce this rain event once in 50 years. You are basically running your climate model like throwing the die, trying to measure the probability of such a rare event. This is the factual world, what the probability is in the real world, here and now. Then we do something called the counterfactual. The counterfactual world is minus human beings or the human effect. If we didn’t have human beings how would the climate have evolved? You give the model those conditions and throw the die again, and then see if the probability of the event occurring is different from the probability in the factual model. If an event was occurring once in 100 years without human beings but with the current human-driven world I get the probability of once in 30 years, that means we have contributed that much to that kind of event happening. In December 2015, Chennai experienced a severe deluge, recording a city-wide 24 hour average rain of 286 mm. A paper you co-authored about the event concluded that no effect of global warming was seen. In another paper, where you studied the extreme heatwaves that occurred in Telangana and Andhra Pradesh in May and June 2015, which killed about 2,500 people, you did find that the event was exacerbated by human-induced climate change. Is there some kind of weather events that are more likely to take place because of human intervention? Or is it that attributing rainfall events to human behaviour is harder than heat because the temperature is easier to map? Yes, the temperature is easier to predict than rainfall. The heat waves in Andhra Pradesh and Telangana were easier to simulate, whereas rainfall is a harder thing for many models to do accurately because rainfall is so hard to predict. There are sometimes very heavy, sharp downpours that occur in a localised place, something like the Uttarakhand floods. There was a cloudburst in only this one part of the Himalayas. Those are very hard for models to predict because their location matters, and their size is very small. Rainfall, inherently, is hard to simulate, and certain kinds of rain events are even harder. But the Chennai rain event was not of that kind. It was a large area, in fact, there was a lot of rain all along the Tamil Nadu coast and out into the ocean as well. And it lasted many days. The event we looked at was a one-day event but all its features were large-scale. When it comes to rainfall, rainfall can change or increase for two separate reasons or both reasons together. One is that when you have warmer air, it can hold more moisture. So the ability to hold water changes with temperature, which is the thermodynamic effect. The second is that rain comes from circulation of air. There’s movement involved. So previously there was one place that used to get these very heavy rains, now it has shifted. It’s not that there is a change in the severity of rain that a wind brings, but because the wind track has shifted, both the new and old place are now experiencing change. This is what we call a dynamic effect. It is important to understand which one happened. It could also happen that due to the dynamic effect a place that earlier got a lot of rainfall is now drying out because the rain has moved, but that you don’t notice because the water holding capacity in the atmosphere increased. So there are two changes that can add up or counteract each other, which is why it is a difficult thing to disentangle. Why is it important to do climate-change attribution, which is the process of deciding whether global warming was responsible (at least in part) for a certain weather event occurring? Part of the reason why I do this is that the when the event is right there, and people have experienced it, it’s in the news cycle. So if you do the attribution rapidly and say look — this event that has unfolded was due to climate change then it is an opportunity to have that mind-space where people can associate what they are hearing with what is happening now. It’s not like we can keep saying it is not my problem because climate change is being experienced. What about reactions from policymakers that they need these scientific data to be more precise, or for smaller time frames for planning purposes? Weather forecasts are already doing this. The part that is missing is that when somebody makes a forecast for the next five days, is that information in a form that a city planner or a district collector or a state government official wants? How can we fill the gap between what is provided and what is needed? 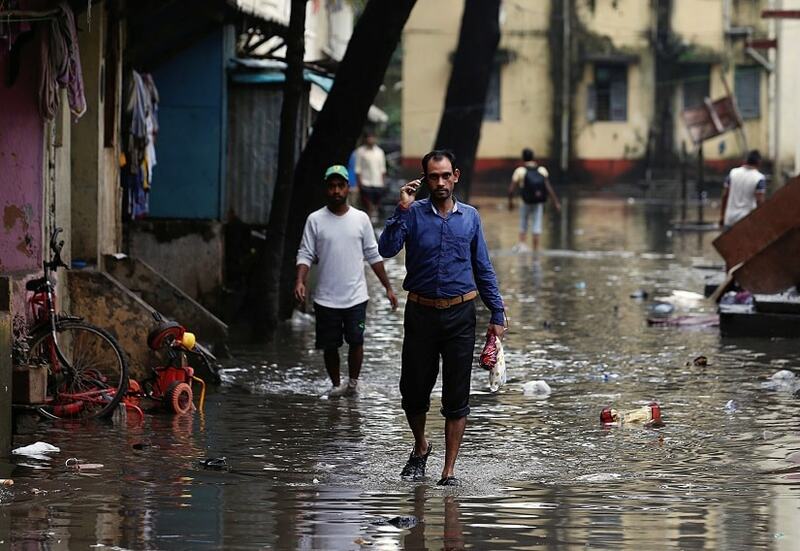 One of the things I heard after the August Mumbai floods was that the Indian meteorological department was worthless because they didn’t know there was going to be this flooding in Mumbai. But they did predict the rainfall, same way that the Uttarakhand rain event was predicted. This is a question not so much of scientific capability but a question of how to close the gap between science and policy in action. One example where this has happened is the Ahmedabad heat action plan. Now there are two more cities that will get a plan — Nagpur and Bhubaneswar. It’s really not that hard — it’s basically somebody sitting down and saying okay I’ll do this, you do that, basically filling the communication gap. It’s a question of taking onus and preparing for the bad climate. So you can deal with the Mumbai floods by planning for it, or later shrug your shoulders and say ‘Mumbai’s spirit’.